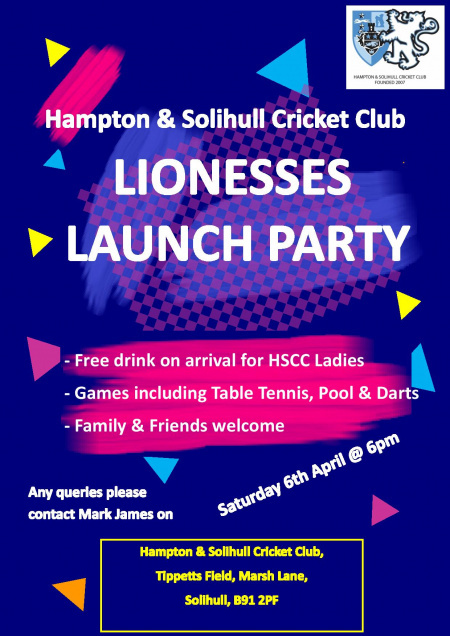 Hampton and Solihull are launching their 'Lionesses' women's team for the 2019 season. If you, your family or friends are interested in getting involved the club would love to see you at the Lionesses launch party on Saturday 6th April. Come along to see what the club has to offer, socialise and get involved with cricket this season! Outdoor training will start on Monday 8th April from 6:15pm. Please see details attached on the club flyers!